Raise your baby shower to new heights with this cute bouquet! Also can be used to brighten the hospital room of the brand new mommy. 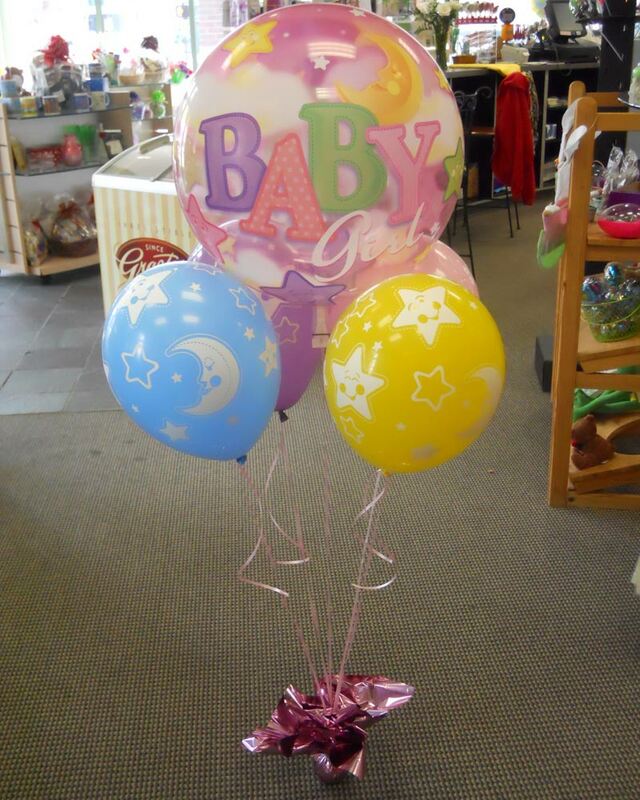 This bouquet consists of an almost indestructible bubble balloon (think beach ball) and 4 baby themed printed latex. 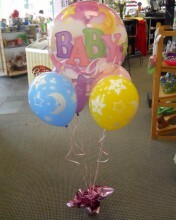 Click the button below to add the Baby Balloon Bouquet to your wish list.